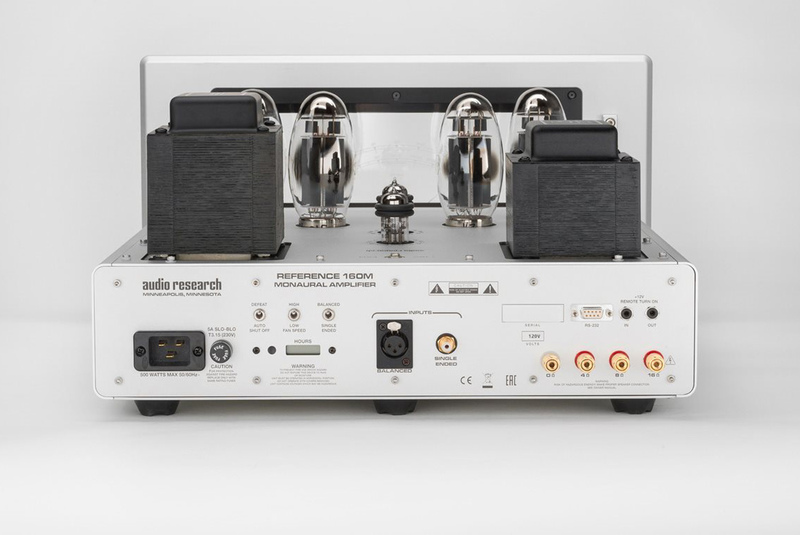 You don’t have to actually listen to the new Audio Research Reference 160M monoblocks to fall in love with them. 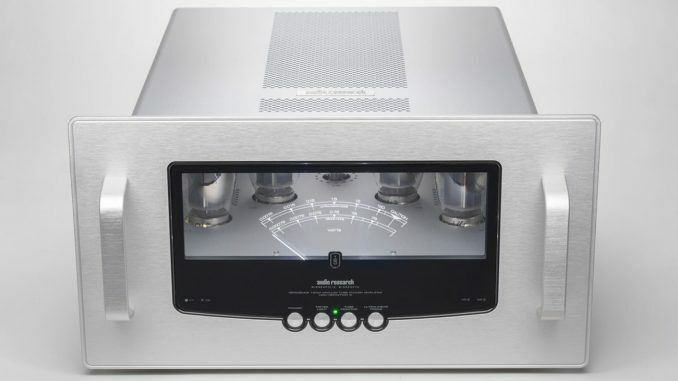 Audaciously different by the high-end marque’s usually conservative styling standards, they radiate a certain desirability that will have even solid state fans reaching for their credit cards. 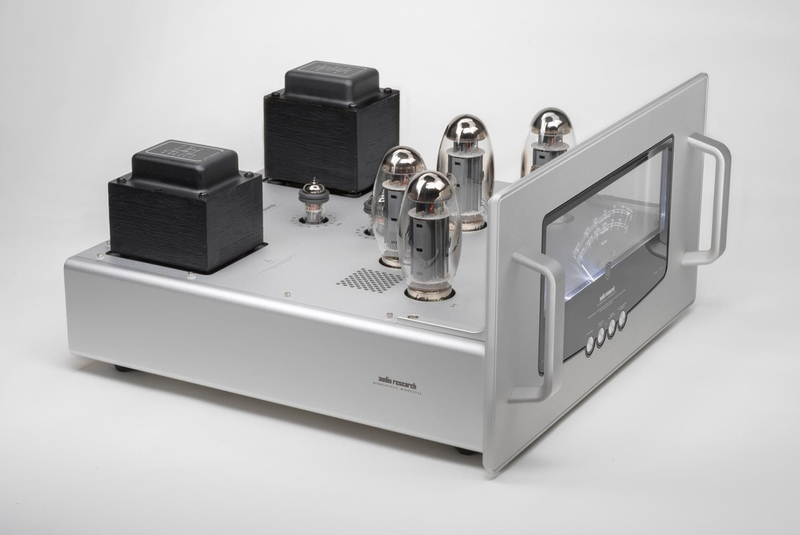 So, how different can a power amplifier be? In this case, very different: the Reference 160M gets a transparent fascia that allows an unencumbered view of the glowing tube complement behind it, while also providing a home to an integrated power meter. But let’s not get distracted by the sexiness of the Ref 160M. There’s a lot more to the monoblock than aesthetic appeal. If you leave the covers off (as you should) you’ll see the four KT150 output tubes, as well as a pair of 6H30 driver tubes. They form the core of a circuit design that’s been pared down in the interests of a simpler, more direct signal path, with commensurate gains in sonic capability. Solid-state power regulation translates into better efficiency, stability and reliability, Audio Research claims. Other highlights include custom-made components, a four-layer circuit board said to reduce the noise floor significantly, and a power supply featuring a new high-energy capacity transformer and bulk storage capacity network to cope with the current demand of transient peaks. 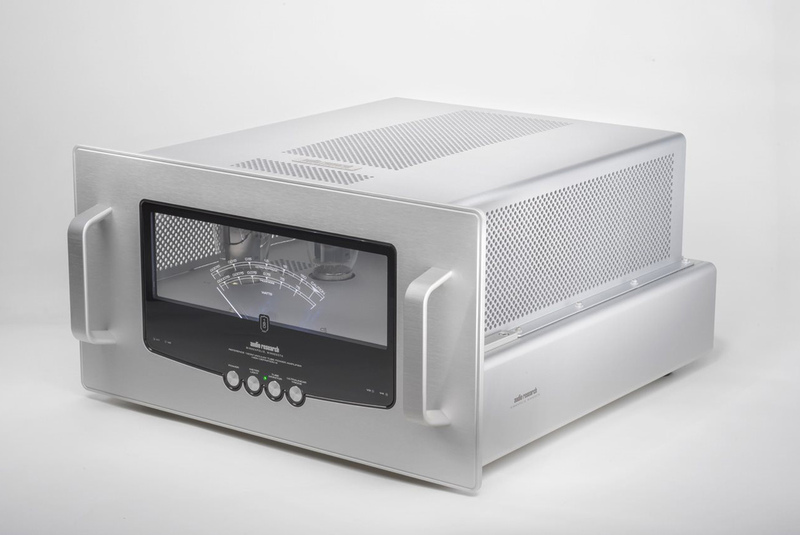 Finally, the Ref 160M also offers a choice of triode or ultralinear listening modes – another Audio Research first. Claimed power output in the former mode is 75 watts, while 150 watts is available in ultralinear mode. 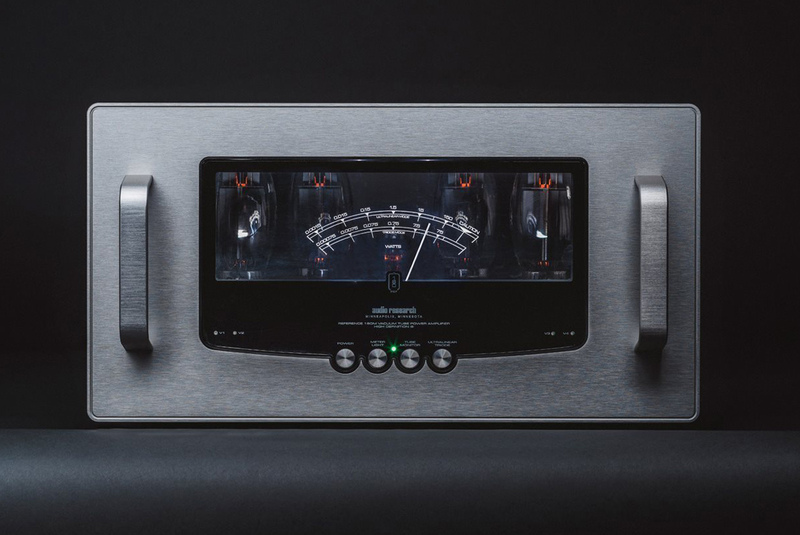 I got a brief chance to listen to a pair of Reference 160Ms at Johannesburg agents HFX Systems recently, running in ultralinear mode, and hooked up to a pair of Sonus faber Serafino loudspeakers, with a McIntosh C2600 on pre-amp duty. Delivering the digital source signal was a Mark Levinson Reference No.30 disc transport. I was immediately struck by the full, tactile delivery of the amps. They exuded a distinctive body and presence that was arresting, yet never became overbearing or bloated. There was a delicious richness that allowed the Ref 160Ms to communicate their musical message with substance and authenticity. As a result, it was easy to identify the actual performers on the large, almost cinematic soundstage. There was no shortage of low-frequency energy: the bass was bountiful, but still well controlled and incisive. The midrange was a particular highlight, offering a combination of smooth liquidity and texture that really made the music come alive. I expected the trebles to be sweet and sleek, and indeed, they were certainly elegant and approachable. But there was no sense of the exaggerated glow or burnish that can sometimes typecast valve amps: the high frequency detail remained crisp, clear and ultimately revealing. The monoblocks easily kept up with the pace and the dynamics of the music without belabouring the point. To their credit, they produced a sound that was always more like music than hi-fi: the electronics took a back seat in favour of emotion and pathos. However, it was the ability of the Ref 160Ms to recreate the stature and the presence of the music that impressed most. They endowed the sound with an almost physical charisma that made it easy to forget that I was listening to recorded music. Acoustic guitars had just the right shimmer and polish, and bass lines were delivered with impact, yet not confrontationally so. Vocals were endowed with a three-dimensional presence, bolstered by the realism of tone and texture. Adding to the sense of involvement was a soundstage that was spectacularly open and unencumbered, allowing the music free rein, and creating a sound picture that refused to be contained by the physical boundaries of the room. The sound picture was panoramic, but not exaggerated, affording the music as much space and air as it needed, but without overstating the musical case. Imaging was beautifully three-dimensional, adding to the sense of experiencing the music, rather than just listening to it. The sound was unequivocally believable, but the system never allowed the accuracy or precision of the delivery to get in the way of the music’s emotive content. I was impressed with the way the monoblocks provided huge lashings of control and headroom, even at higher listening levels, without getting in the way of the music’s flow. For all their pace and kick, there was an intoxicating ease and accessibility to the music that always had me looking for another disc to play. If there is a criticism, it was that the bass could be a tad overstated on certain recordings, but it may well be that the all-tube front end fed the Sonus fabers a musical diet that was just a little too rich at times. Even so, the overall transparency and accessibility of the system was laudable, allowing an engaging and above all entertaining listening experience. Yes, the Audio Research Reference 160Ms are something special – and not just because they look spectacular!